Standing in the original 1090 transmitter room. 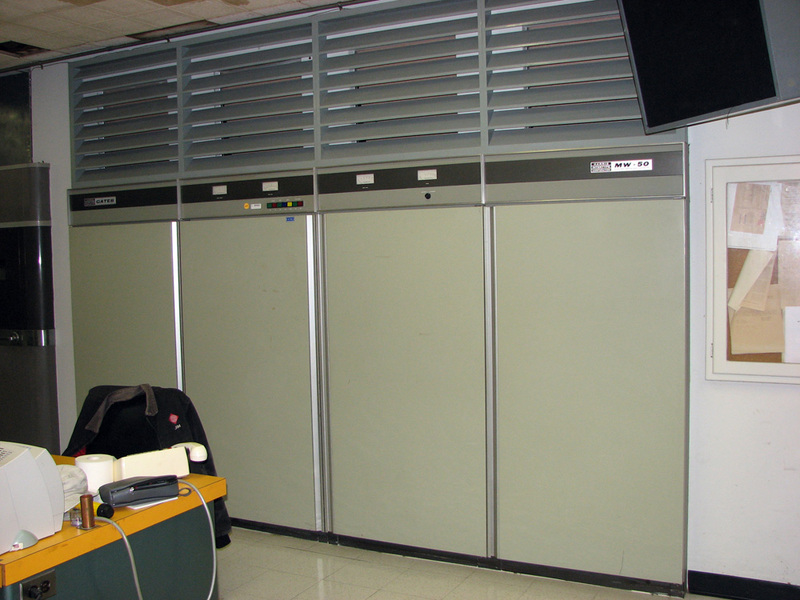 On one side stands a Harris MW50A 50,000 watt transmitter that was purchased by then KING in the early 70’s to replace the original 50KW GE transmitter as the main transmitter. The MW50 was placed where the 10,000 watt backup transmitter sat. The Mw50 was used as the main transmitter from early 70’s until they bought the Nautel Solid state transmitter in the 90’s.